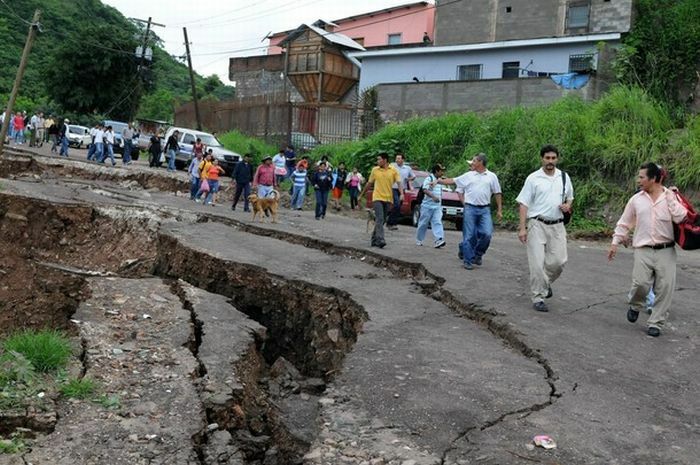 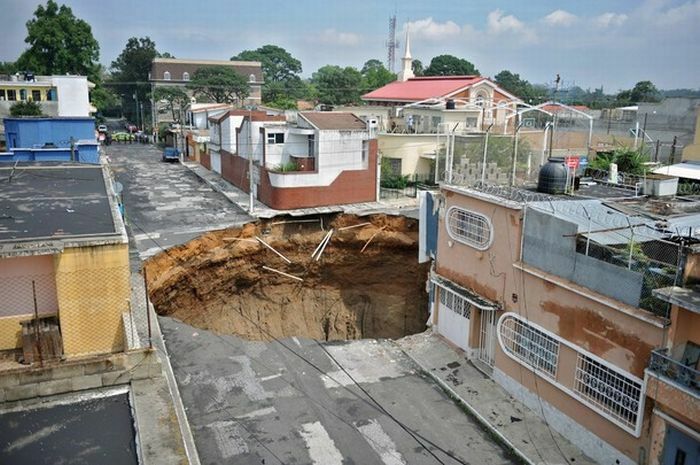 Geologists are investigating what caused a giant sinkhole to open up in Guatemala City, swallowing an entire intersection. 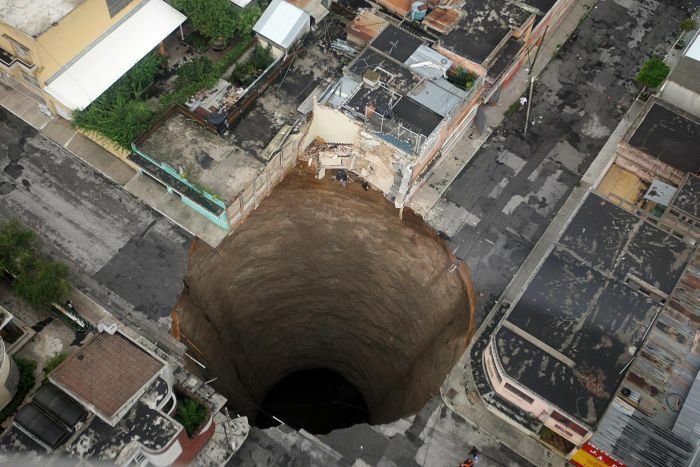 The hole is 20 meters across and plunges nearly 30 meters deep. 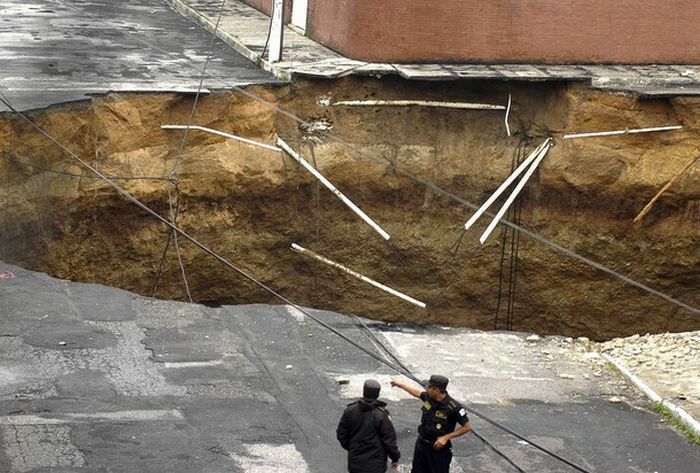 A clothing factory and a house were reportedly lost in the hole, but so far, no deaths have been reported. Geologists say the cause is still a mystery. 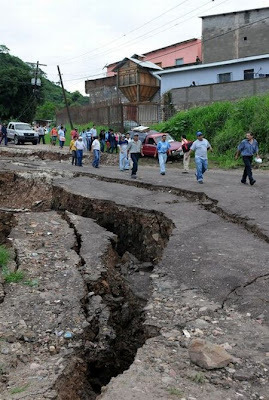 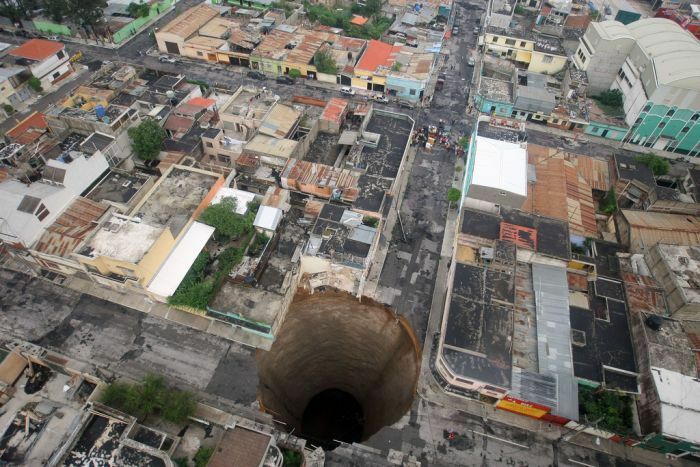 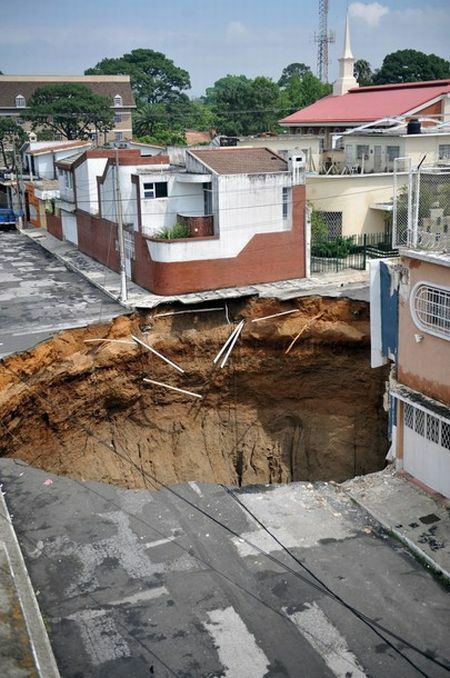 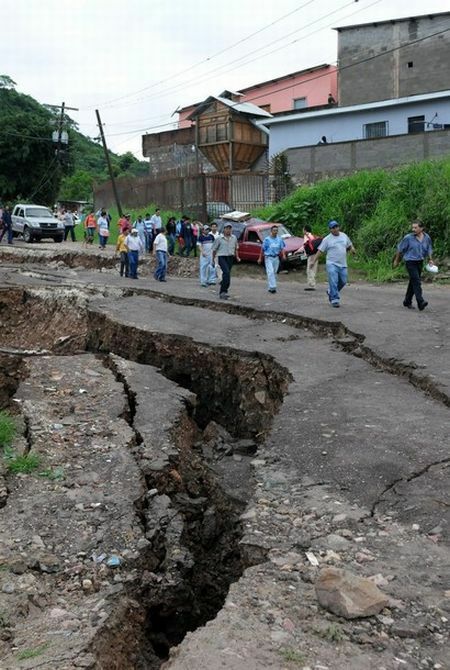 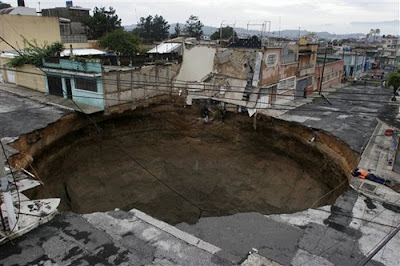 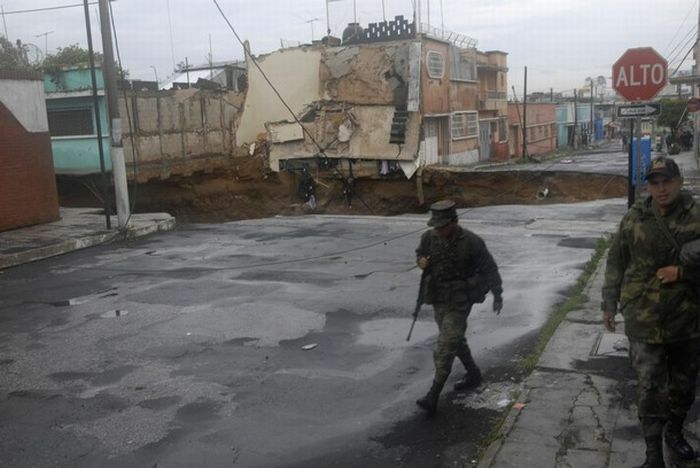 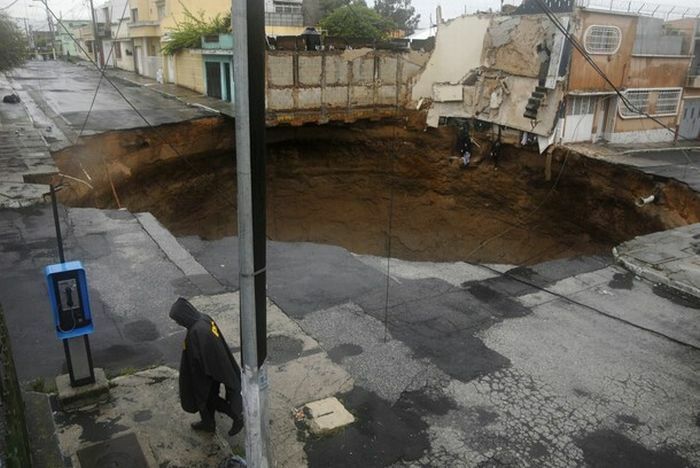 0 COMMENTS on "Amazing giant sinkhole in Guatemala City - 11 Pics+Video"